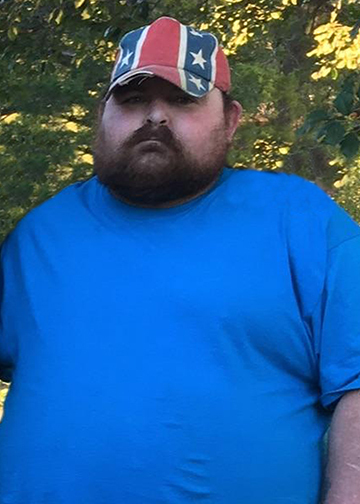 Willard “Little Man” William Sirmons, 38, of Silsbee, died Thursday, April 11, 2019. He was born on January 5, 1981, in Silsbee, to Opal Watts Sirmons and William Sirmons. Survivors include his parents, Opal and Billy Sirmons; brothers, Billy Foxworth and his wife, Penny, of Fred; and Rusty Sirmons of Honey Island; nephews, Harley Foxworth and his wife, Reba, of Fred; and Bronson Foxworth and his wife, Katlan, of Warren; grandmother, Louise Watts of Silsbee; and great-nieces, Christalynn Foxworth and Adallee Foxworth. He is preceded in death by his brother, Bronson Foxworth; grandpa, Reddoll Watts; and grandmother, Eunice Sirmons. A gathering of Little Man’s family and friends will begin at 12:00 p.m., with his service at 2:00 p.m., Sunday, April 14, 2019, at Broussard’s, 490 Cemetery Road, Silsbee. His interment will follow at Cunningham Cemetery, Silsbee. I am so sorry for y’alls loss Opal & Billy. Prayers for the Lord to comfort you all.